I was thinking of this thread a day or two ago. Something new at my gym is the addition of TV screens mounted on the stationary bicycles and stair climbers and such machines. The sets apparently have the closed captioning permanently turned on so you can watch a program without disturbing other people. Anyway, some of the closed captioning, especially for local news broadcasts, can be as loopily wrong as some of the Malaysian subtitles. I was riding the bike the other day, and a news program featured an interview with a woman who has just published a book about what happens to food inside us after we eat it. Whoever was doing the closed captioning "in the moment" rendered the phrase alimentary canal as elementary canal. All right, it's Thursday. Bumping. the. best. thread. ever. I vaguely remember it, it had fish on it, it was a lady's purse, IIRC. Yeah, I miss the "queer case" too. Me three. I already tried to google it some years ago, but to no avail. I still have a clear image in my mind, I could draw it. If I could draw, that is. 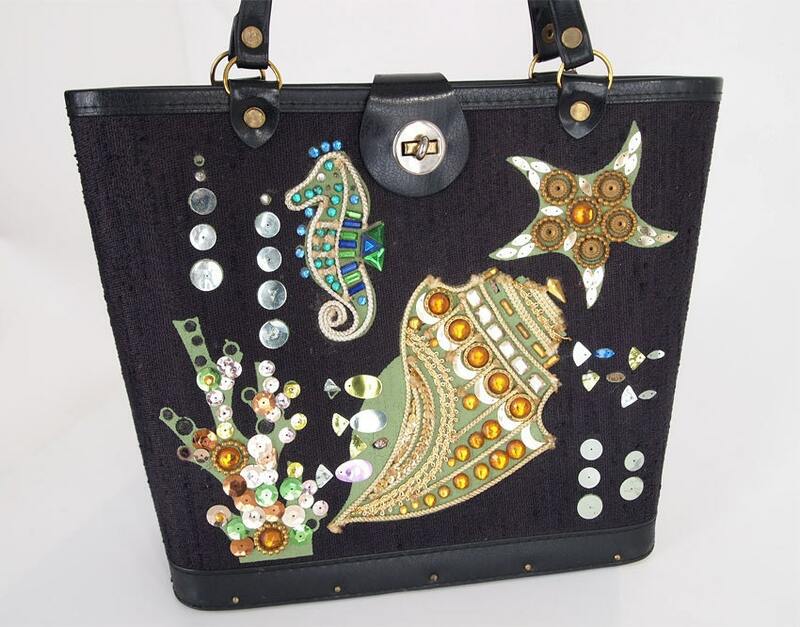 It was black, with fishes and sequined and made of wicker and looked like a real creel case, only smaller. Why, oh why didn't I understand the secrets of photobucket earlier? It's Ennis' replacement queer case!